A while ago, someone suggested that I should make a marmot. I agreed with her and already had thought of making an Alp marmot. It was after my vacation to Switzerland, where I had seen and heard, many of these adorable little fellows. 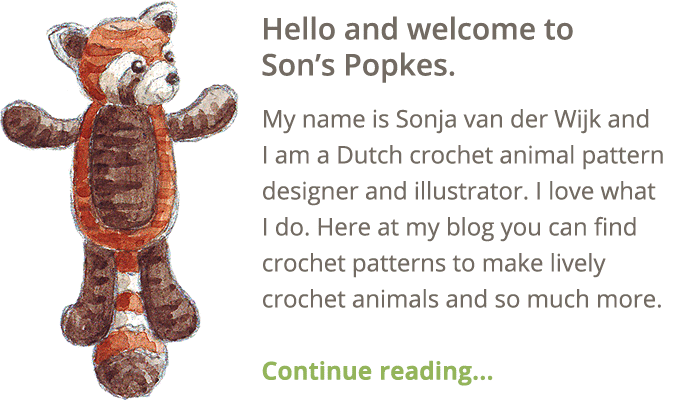 However, I never actually got to making one, because I simply had other animals in mind to make first and was not quite confident about the shape I should give a crochet marmot. I decided to wait until the period around Groundhog day, which I thought to be somewhere in the end of February or begin March. I should have Googled it. Last week I discovered it is Groundhog day the 2nd of Februari, oops. Nevertheless, I am working on a marmot pattern at this very moment. 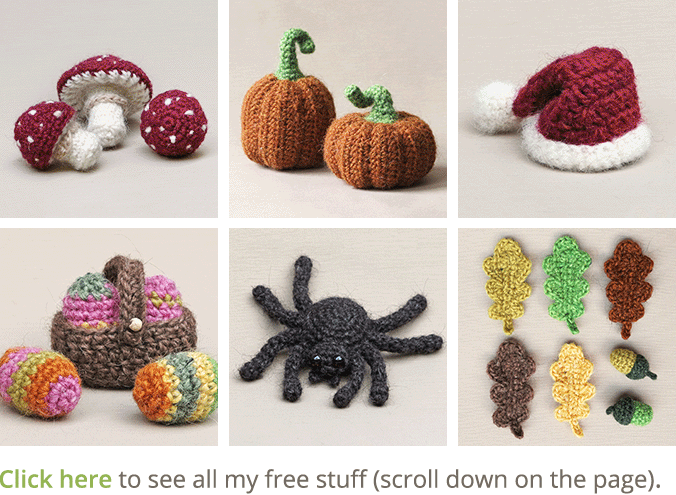 I’ve already made some sketches and picked suitable yarn colours. There is one dilemma though, I don’t know what kind of marmot I am going to make, in colour that is. There is the Alp marmot, the woodchuck, the groundhog and my favourite but more uncommon variation, the Vancouver Island marmot with its bear-ish appearance. The Vancouver Island marmot is an endangered species and has beautiful chocolate brown fur and contrasting white patches. I think he’s absolutely stunning, but I am afraid many people won’t immediately recognize my crochet version of one to be a marmot. 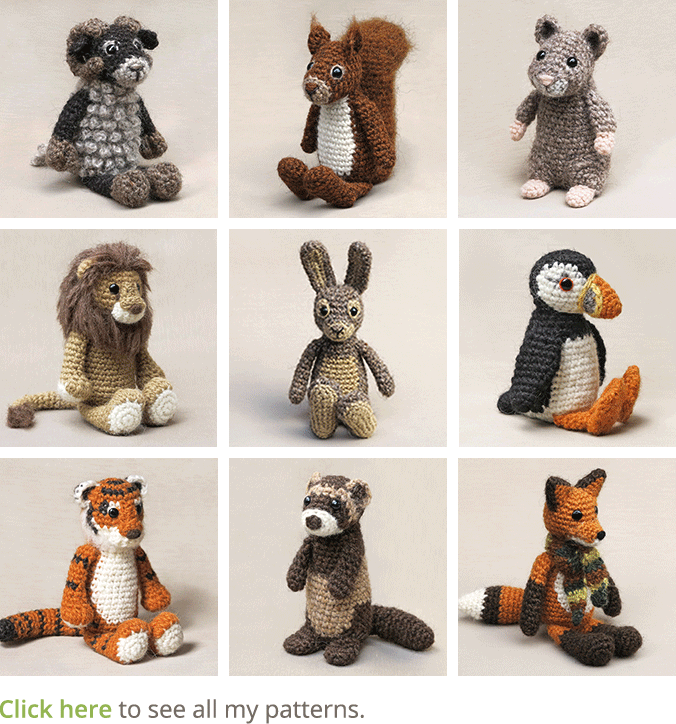 So I think I will stick to a more traditional coloured marmot and make the chocolate brown coloured one for myself. Here are some pictures of this lovely animal. The first picture I have found online and in it you see the stunning Vancouver Island marmot. Look at him, what an absolute beauty! The second picture is made by my boyfriend. 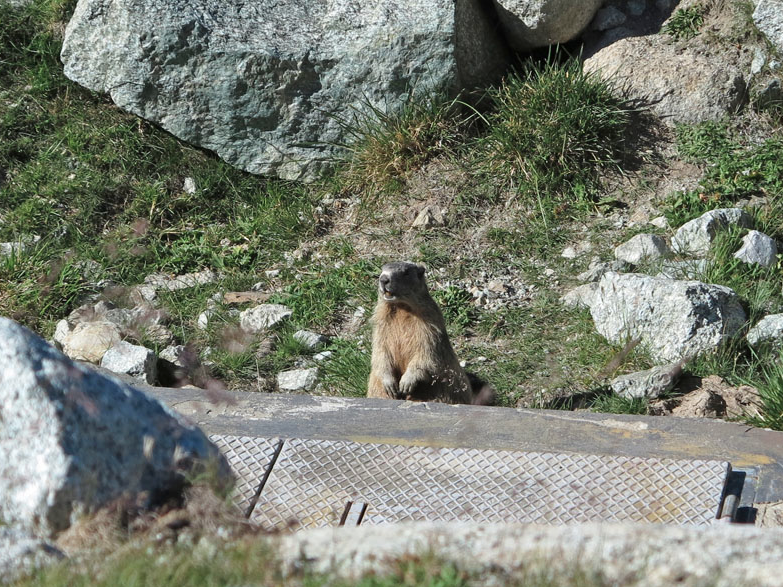 This marmot we encountered in Switzerland at the Abula pass. When we passed him after we had just started our hike, he quickly fled into his hole, which led into a cold war shelter. When he called out to warn his friends, he made our ears ring. Anyway, we knew where he was, so on our way back, we silently approached his little territorium and there he was. We quickly took his picture, he fled into his little dug out again and made our ears ring some more. We enjoyed ourselves very much. This post is a bit longer than I had anticipated and I hope you enjoyed reading it.